Present trends in energy supply and use are unsustainable – economically, environmentally and socially. Without decisive action, energy-related greenhouse-gas (GHG) emissions would lead to considerable climate degradation with an average 6°C global warming. Energy Efficiency, many types of renewable energy, carbon capture and storage (CCS), nuclear power and new transport technologies will all require widespread deployment if we are to achieve a global energy-related CO2 target in 2050 of 50% below current levels and limit global temperature rise by 2050 to 2°C above pre-industrial levels. Photovoltaic (PV) energy is one of the most promising emerging technologies. Since 2010, the world has added more solar photovoltaic (PV) capacity than in the previous four decades. Solar energy is the most abundant energy resource on earth, with about 885 million terawatt hours (TWh) reaching the surface of the planet every year – 6 200 times the commercial primary energy consumed by humankind in 2008, and 3 500 times the energy that humankind would consume in 2050 according to the ETP 2014 6-degree Scenario (IEA, 2011; 2014b). The levelised cost of electricity of decentralised solar PV systems is approaching or falling below the variable portion of retail electricity prices that system owners pay in some markets, across residential and commercial segments. Solar power in India is a fast developing industry, with a cumulative installed grid connected solar power capacity of 8,062 MW (8 GW) as of 31 July 2016. 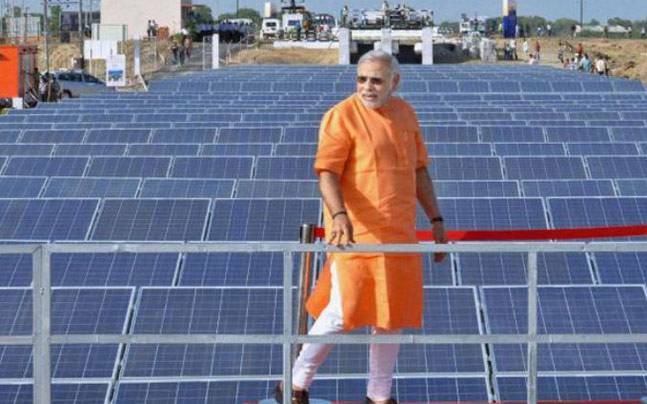 In January 2015 the Indian government significantly expanded its solar plans, targeting US$100 billion of investment and 100 GW of solar capacity (including 40 GW from rooftop solar) by 2022. The latest report from GlobalData describes the Indian Solar Photovoltaic (PV) market outlook to 2030, update 2016 – capacity, generation, levelized cost of energy (LCOE), investment trends, regulations and company profiles. A detailed coverage of renewable energy policy framework governing the market with specific policies pertaining to Solar Photovoltaic (PV) is provided in the report. The report is built using data and information sourced from proprietary databases, secondary research and in-house analysis by GlobalData's team of industry experts, reports PRNewswire. Reportbuyer is a leading industry intelligence solution that provides all market research reports from top publishers. Download the full report by visiting at Report Buyer.